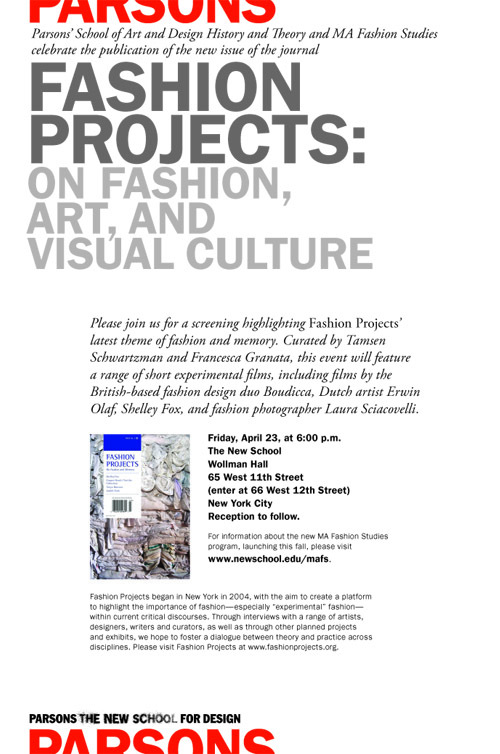 A screening to celebrate the new issue of Fashion Projects. 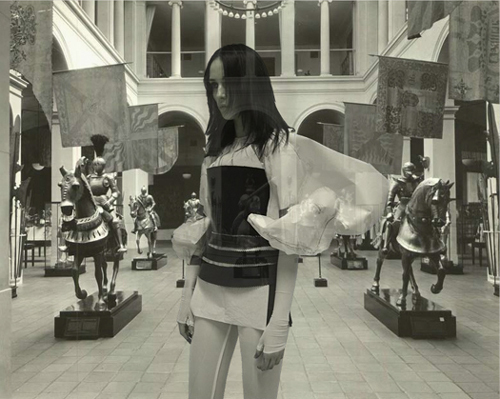 The screening features a range of short experimental films on the topic of fashion and memory--the topic of the new issue. They include films by the British-based fashion design duo Boudicca, Dutch photographer Erwin Olaf, designer Shelley Fox, and fashion photographer Laura Sciacovelli. The screening is curated by Tamsen Schwartzman and Francesca Granata. The screening will take place Friday the 23rd of April at 6 pm in the Wollman Hall, 65 West 12th Street. (PS: It will start promptly!). A reception will follow the screening. The event is free and open to the public. Below is the official flyer: Feel free to circulate it.